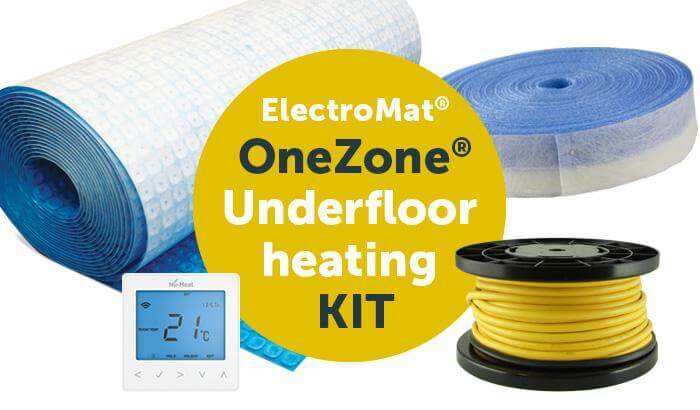 Enjoy underfloor heating (UFH) in a kitchen, conservatory, bathroom, extension – or any single room – with a OneZone® UFH kit. 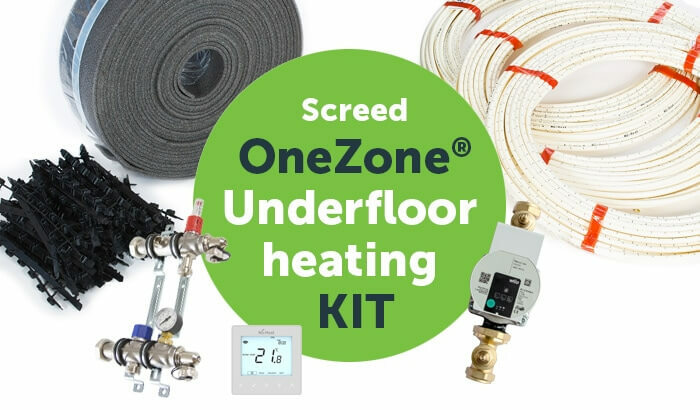 A OneZone® kit includes everything you need to install underfloor heating in one room only – whether large or small – where a full system design is not required. 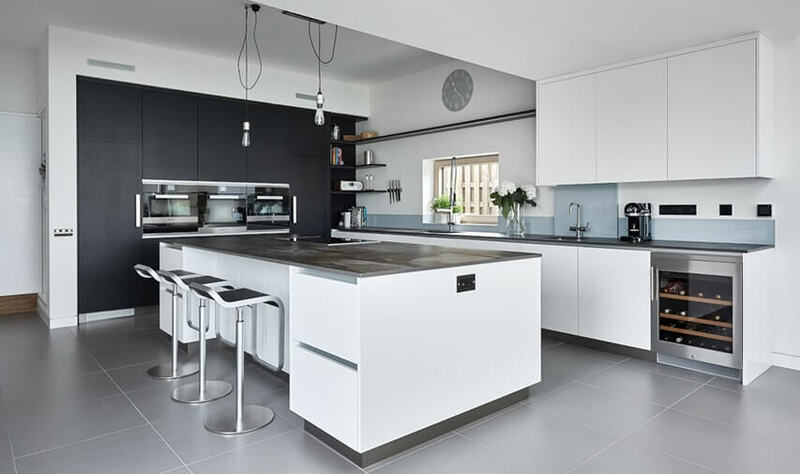 This could be as part of a new extension or a renovation project, such as refitting a kitchen or bathroom. ✓ High quality components than reduce installation time and improve system performance. ✓ A programmable thermostat that can also offer smart control functionality. ✓ Access to free technical support, during and after installation. 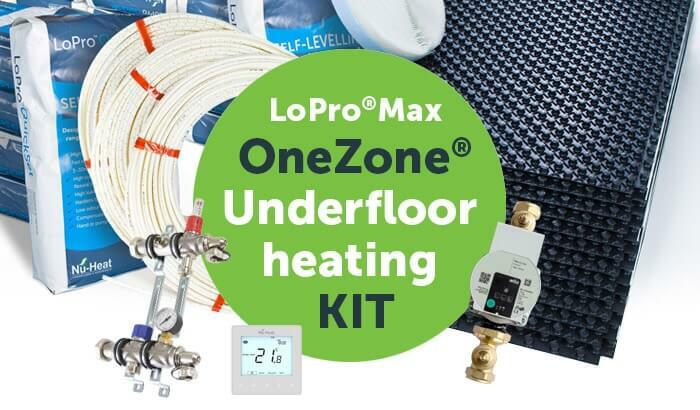 LoPro®Max OneZone® is a low-profile underfloor heating system that offers an impressive heat output. Because of this, it is particularly well suited to kitchens, conservatories and areas with large windows or bi-fold doors. As part of the LoPro® range, LoPro®Max is simply installed on top of the existing floor. Low profile at just 22mm. For spaces with higher heat loss. 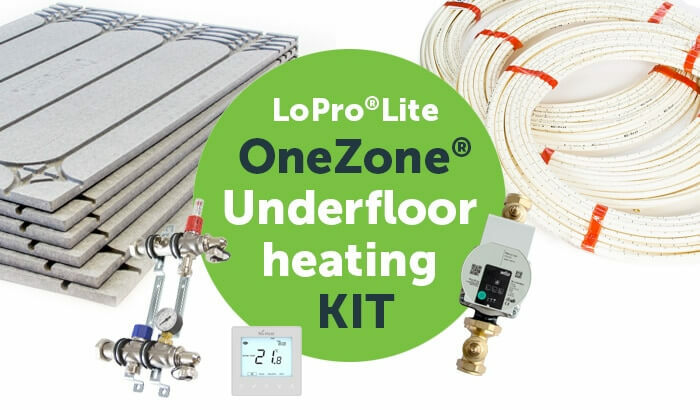 Lightweight, versatile and easy to install, LoPro®Lite OneZone® is another single room underfloor heating solution for renovation projects. One of the main benefits of this system is that it offers a dry installation, so there are no waiting times and floor finishes can be laid straight away. Like LoPro®Max, it is also installed directly on top of an existing floor. Dry install for minimal disruption. Suited to all floor levels. ElectroMat® is an electric single room underfloor heating kit that is easy to install and fast to heat up. A decoupling membrane is used to hold the electric cable, meaning the system can be tiled onto directly without the need for any additional decks or self-levelling compounds. An electric UFH option for smaller kitchens, bathrooms and ensuites. Can be run alongside any existing heating system. ClipTrack® OneZone® is a simple and cost-effective underfloor heating solution for new build extensions and conservatories. Unlike the other OneZone® kits, ClipTrack® is fitted within the floor makeup during the build stage, rather than being laid on top of the floor. Simple to install in a new extension. Unsure which underfloor heating kit is right for you? You can call us on 01404 540650 or get in touch.